Living The Big Sky Life is a clever memoir by DK King that will take you on a healing journey from the outside in - from the coastlines of Orange County, California, to the big sky resort town of Whitefish, Montana. In a written voice that can be described as nothing short of audacious - real, raw and irreverent - DK King portrays her powerful passage through the peaks and valleys of love and life on her quintessential quest to turn the lemons in her life into an ocean of lemonade. Recounting her personal ordeal with vivid clarity and unparalleled recall, DK King chronicles an unforgettable series of transformational experiences like only a great storyteller can. Her fearless account is truly captivating, and should be a must-read for anyone who dreams of exchanging their robust urban lifestyle for the simple life in any small town U.S.A. This is a book you won’t be able to put down until the startling end! Now available in paperback and Kindle on Amazon! THE BOOK IS AVAILABLE NOW!! 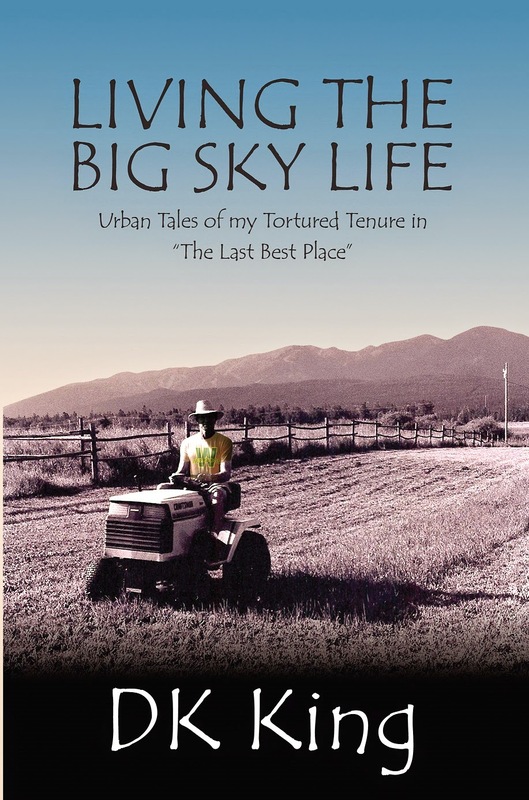 "Living The Big Sky Life™"
It's official, and it's now available in paperback and Kindle on Amazon! I can't wait for you to read it! Coming Soon!! The Book: "Living The Big Sky Life™"
For those of you who have been patiently waiting for me to tell all there is to tell about my tortured tenure in 'the last best place', your wait is finally over because my new book, Living The Big Sky Life™, will be published on 27 June 2014 and available for purchase on Amazon at the beginning of July 2014. The book will initially be released in paperback with a Kindle ebook version to soon follow. Get ready to be entertained in a way you never saw coming.